If you're sending out packages this holiday season and want to ensure they get to your loved ones in time for Christmas, make sure to get them to the post office or shipping store before the deadline. WASHINGTON — You’ve finished up your Christmas cards, you’ve shopped till you dropped for those coveted gift items, but you can’t deliver packages to various places in one night. After all, you’re not Santa Claus. 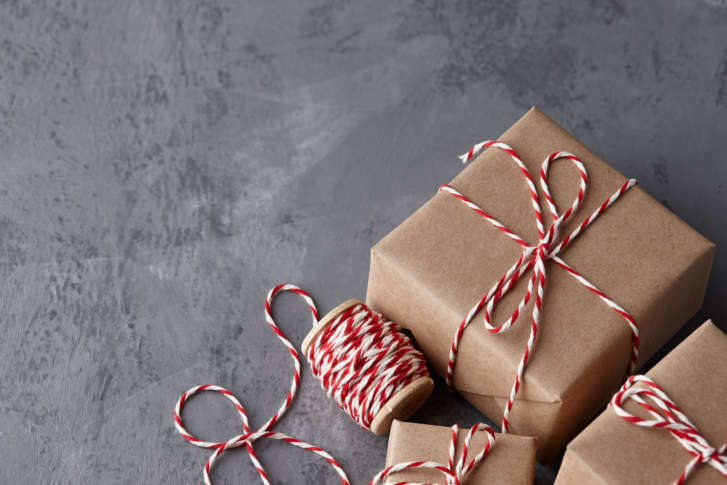 If you’re sending out packages this holiday season and want to ensure they get to your loved ones in time for Christmas, make sure to get them to the post office or shipping store before the deadline. Find the last day you can send something to make sure it gets under the tree. More concerned about whether you’re packing those gifts appropriately? Check out a list of useful packing tips. Your cheapest shipping option from USPS, this is ideal for the less-than-urgent deliveries and oversized packages. Prices start at $6.70. First Class is ideal for standard-sized single piece envelopes weighing no more than 3.5 ounces and large envelopes and small packages weighing up to 13 ounces. Prices start at 50 cents. This type of mailing option includes flat rate shipping, in 1 through 3 business days based on where the package is being sent from and to. Shipping prices start at $6.70. This shipping option guarantees overnight delivery with a few exceptions. Prices start at $24.70. Monday, Dec. 24, is the last day FedEx Express and FedEx Ground shipments will be delivered. FedEx First Overnight, FedEx Priority Overnight and Fedex 2Day will deliver on Saturday, Dec. 22, if Saturday delivery is selected. A $16 delivery fee will apply per package. FedEx Ground will not deliver on Dec. 22. The last delivery day for FedEx Home Delivery shipments will be on Dec. 22. This shipping option will deliver at no additional charge. If you really slacked off on getting your mail to the post office, you can also ship on Christmas Day through FedEx SameDay City and FedEx SameDay services. See all the shipping options available, how long it would take and how much it would cost to deliver your package on the FedEx website. If you’re using UPS 2nd Day Air, make sure to get your package in on Thursday, Dec. 20, to make sure it gets delivered on Christmas Eve. UPS 2nd Day Air service may also be available for delivery on Dec. 22, but packages must be processed and labeled for Saturday delivery, which is not available to all ZIP codes. If you’re shipping with UPS Next Day Air, you can ensure Christmas Eve delivery by getting your package there on Friday, Dec. 21. UPS Next Day Air service may also be available for delivery on Dec. 22, but packages should be processed and labeled for Saturday delivery, which is not available to all ZIP codes. UPS 2nd Day Air packages picked up on Dec. 17 will be scheduled for delivery on Dec. 20. UPS 3 Day Select packages picked up on Dec. 17 will be scheduled for delivery on Dec. 21. UPS 2nd Day Air packages picked up on Dec. 18 will be scheduled for delivery on Dec. 21. UPS 3 Day Select packages picked up on Dec. 18 will be scheduled for delivery on Dec. 24. UPS 2nd Day Air packages picked up on Dec. 19 will be scheduled for delivery on Dec. 24. Check out UPS’ full year-end holiday schedule online. You can calculate shipping time and cost on the UPS website. It’s best to keep an electronic gift unopened and in the manufacturer’s original packaging before packing it into a shipping box. If you need to take the gadget out of the manufacturer’s box, repack it the same exact way as originally packaged by the manufacturer and make sure the device is powered off. If your present is not in a manufacturer’s box, make sure the battery terminals are unexposed and that the power buttons can’t be turned on. Place the device inside a plastic bag to insulate it from static electricity. Shop for gifts online and let the retailer do the hard work. Many online retailers will package, wrap and deliver gifts for you, gift receipt included. Shipping a box inside a box prevents impacts from bumps to the gift inside. Make sure both the box and the gift inside it are wrapped in several layers of bubble wrap. UPS recommends putting a duplicate address label inside the box, in case the outside shipping label gets damaged. Need more detailed packing tips? Check out UPS’ packaging adviser for more specifically tailored tips depending on what you’re shipping.